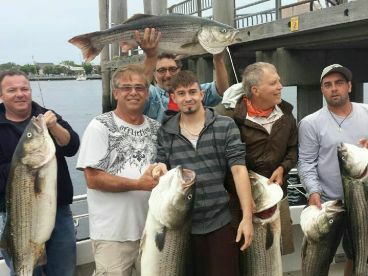 New York City deep sea fishing is the same as everything in the Big Apple - fast-paced, larger than life, and endlessly entertaining! In a metropolis of this size you expect a long commute and the very best bluewater action is often 100 miles away. Time your trip right, though, and you could be battling big game beasts just a few miles from shore. They don’t call it Fun City for nothing! You can break the action down into the two main areas you’ll be fishing: The New York Bight and the Hudson Canyon. 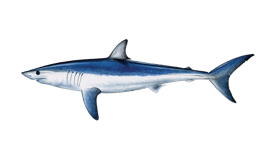 What you target depends on where you go, but the main species are Sharks, Tuna, and Marlin. 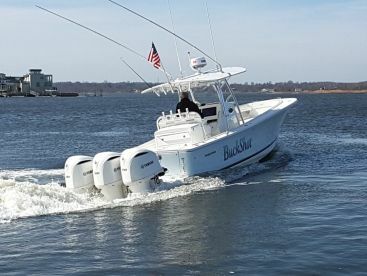 Some of the best Shark fishing charters Brooklyn Harbor has to offer take you just a few miles offshore to fish the Bight. Monster Makos and vicious Threshers spend their summer hunting the Bight’s deeper reaches. 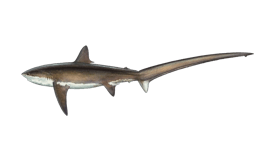 Smaller Sharks come right inshore during the heat of summer, almost into the Lower Bay! This means you can enjoy big game battles well within sight of the city. 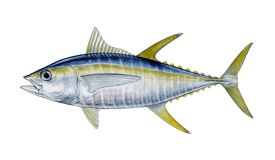 Tuna aren’t quite as bold but you can still find Bluefin and Yellowfin Tuna on a standard eight-hour trip. Few people seem to realise that NYC has an incredible Blue Marlin fishery. 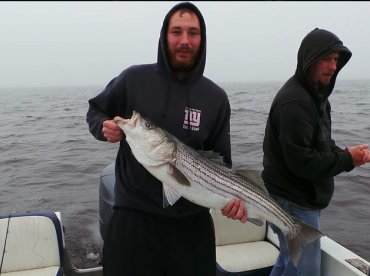 The season may only last two months but when it’s hot this is billfishing to rival anything Ocean City or Hatteras can give you. The biggest Blue Marlin are caught out in the Hudson Canyon, which scars the edge of the continent a hundred miles offshore. It won’t just be Marlin, either. 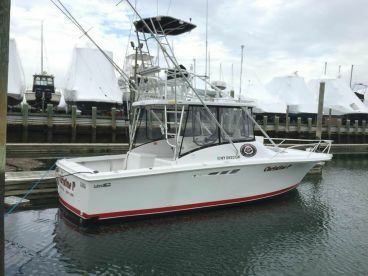 The biggest Sharks and Tuna hunt in these waters, making for endless action on a long August day. 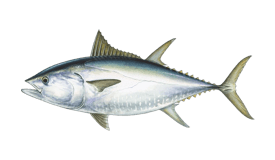 Bluefin Tuna can be caught in a variety of ways, but you’ll have the most fun (and often the most success) throwing lures to fish on the surface. This is all-action, run-and-gun style angling and is not for the faint-hearted. You’ll be using heavy-tackle spinning gear with 80-lb braid and 100-lb mono leaders. Soft plastics and stickbaits are the most effective lures for this style of fishing. Blue Marlin are caught by trolling. 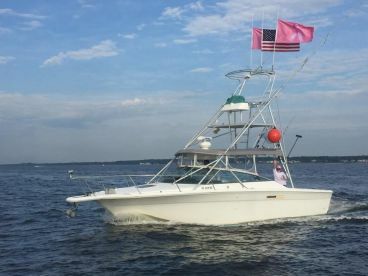 Using heavier tackle gives you a higher chance of success with the Billfish themselves, but cuts out the possibility of landing the many smaller Tuna which inhabit the same area. Sturdy stand-up gear lets you enjoy the best of both worlds, as long as you have a proper harness to take the strain when the Marlin finally hit. You don’t so much target Sharks as invite them aboard. Chumming the waters of the Bight or the canyons will draw Makos and Threshers from far and wide, and chunking charters really dial up the heat. Heavy-duty stand-up gear wins the day here, too, with big lever-drag reels and 80-pound mono line tipped with a good five yards of 250-pound wire. 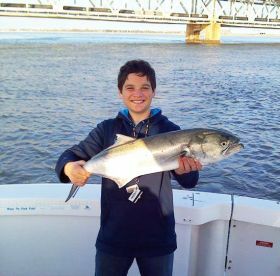 Bluefish and Menhaden make for great baits, fixed onto huge, 20/0 circle hooks. 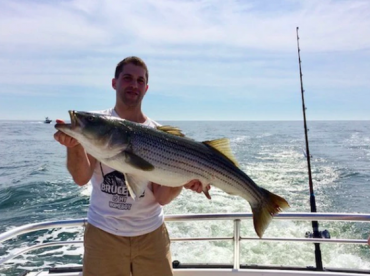 Fishing licenses are generally included on New York City deep sea fishing charters. As is always the case, Highly Migratory Species are governed by federal limits which can vary throughout the season. Your guide will give you a full run-down of these ahead of the trip.